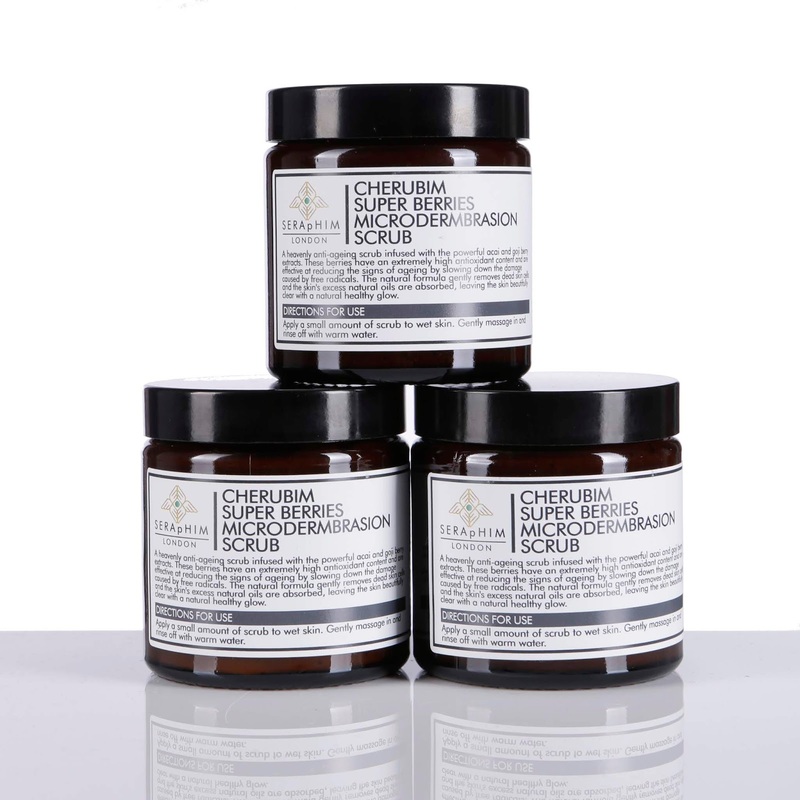 One can just tell when a brand is backed by true passion for creating the best products for their customers. Seraphim Skincare is one such brand. 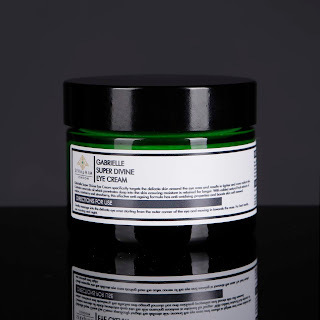 Born from a lifelong passion for skincare, it is truly a labour of love: they carefully select the very best natural ingredients for all your beauty needs, creating innovative blends for your body, face and lips. 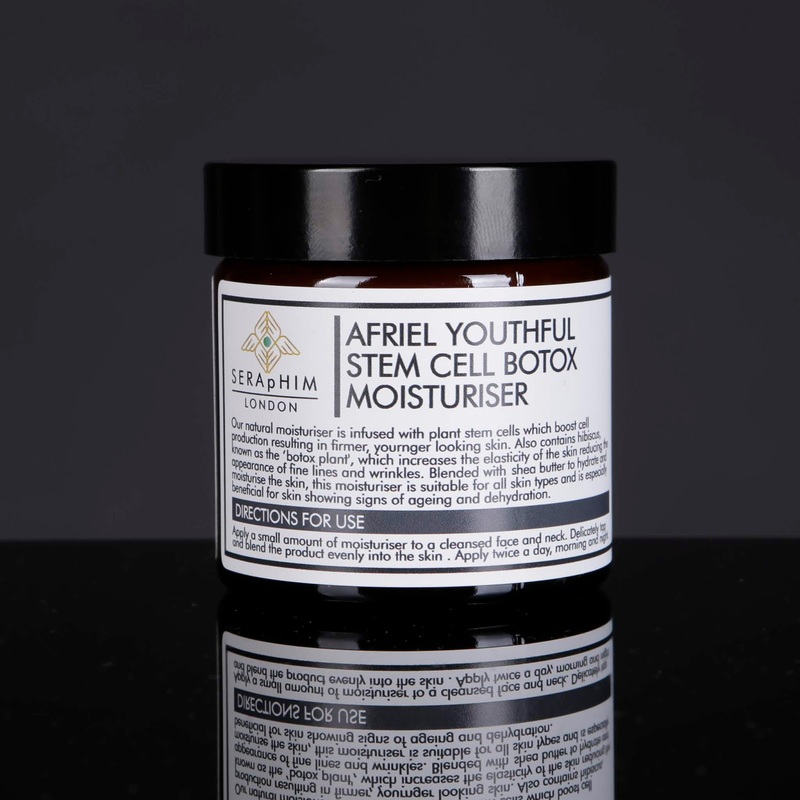 Seraphim Skincare is for those who consciously look after their appearance and love to take care of their skin, hair and clothing, no matter the occasion. The founder Ninah's philosophy when it comes to taking care of one's appearance is exactly the same as mine: dressing up, applying makeup, getting your hair done and trying to look your best every day is not just a matter of vanity, but is also essential to self-respect. 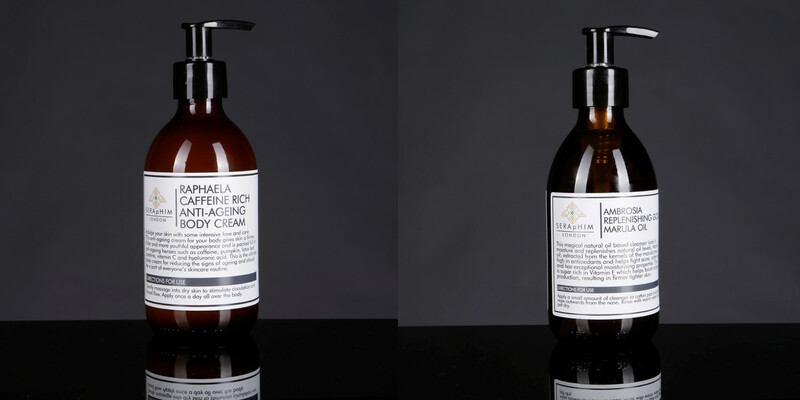 After doing extensive research on the ingredients, Ninah has created a range of products that will make it easy for you to maintain a healthy-looking and radiant complexion. 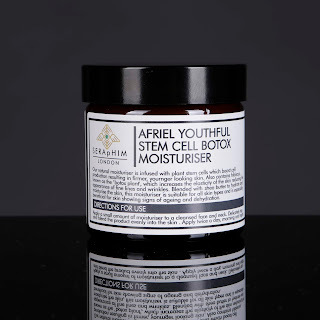 Seraphim London's Afriel Youthful Stem Cell Botox Moisturiser uses hibiscus (also known as the "botox plant"), one of the most powerful anti-ageing plant actives that increases skin elasticity. 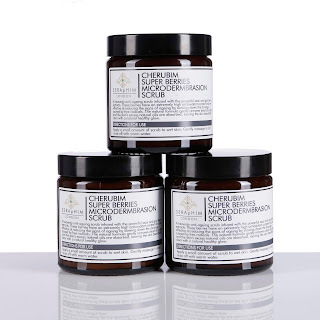 Their Cherubim Super Berries Microdermabrasion Scrub is a powerful cocktail of goji and acai berry extracts, apricot kernel oil, coconut and sunflower oil that gently removes the dead cells to reveal a beautiful, refreshed skin. 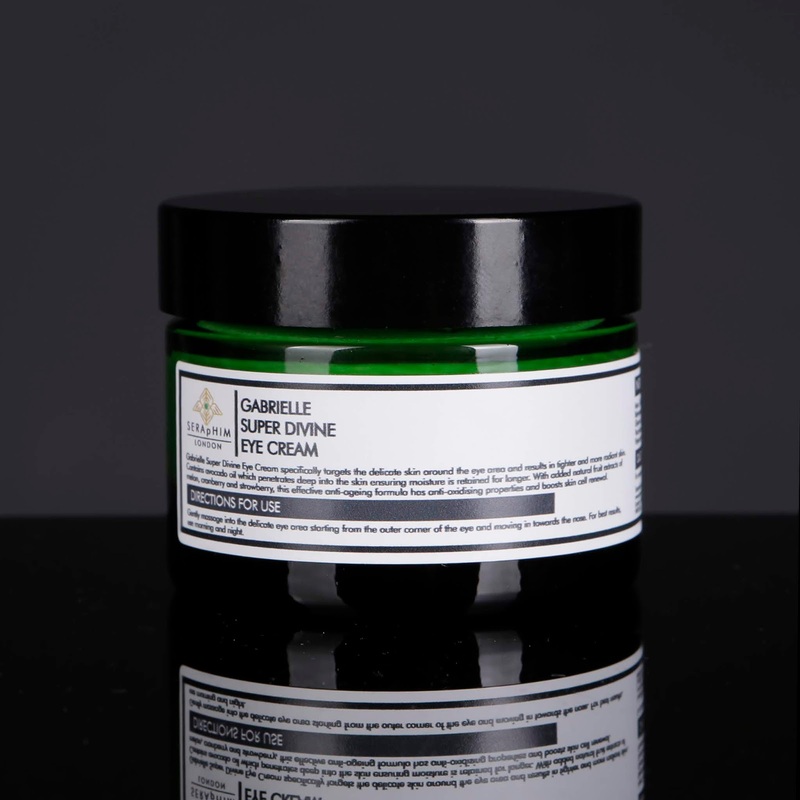 The Gabrielle Super Divine Eye Cream was specifically created for the delicate skin around the eyes with a mix of vitamins and fatty acids for tighter and more radiant skin. 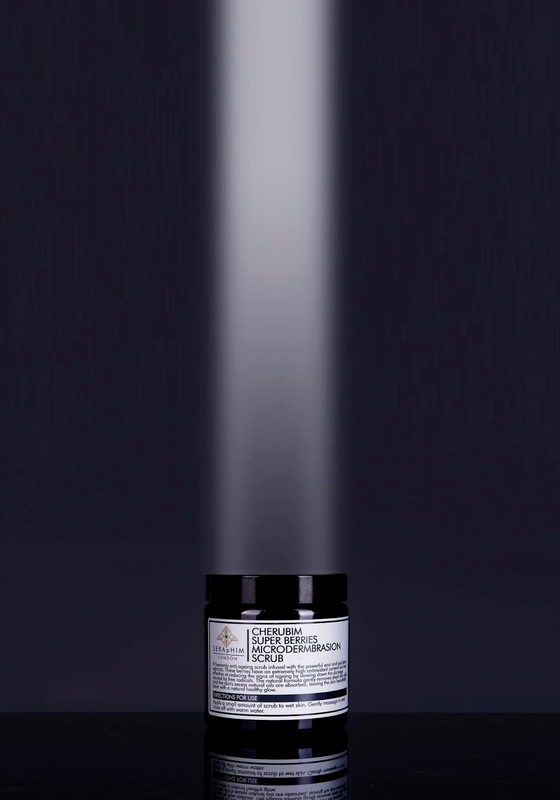 The Serafina Glowing Star Face Wash is a blend of strawberry, papaya & cranberry extracts that dissolves inactive proteins and dead skin cells. 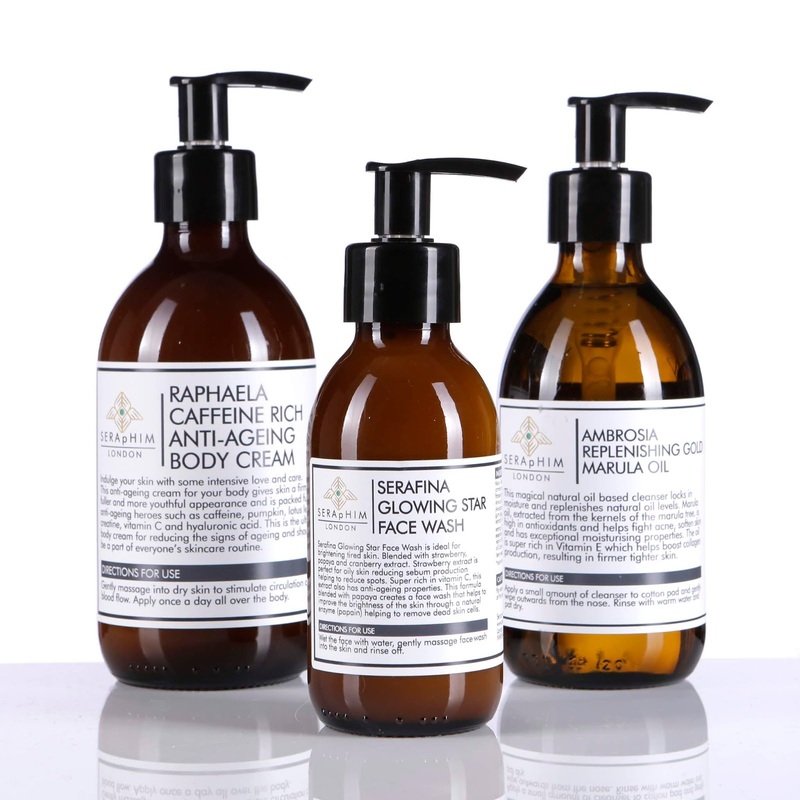 Head over to the Seraphim Skincare website to find out about their other products and shop their selection! 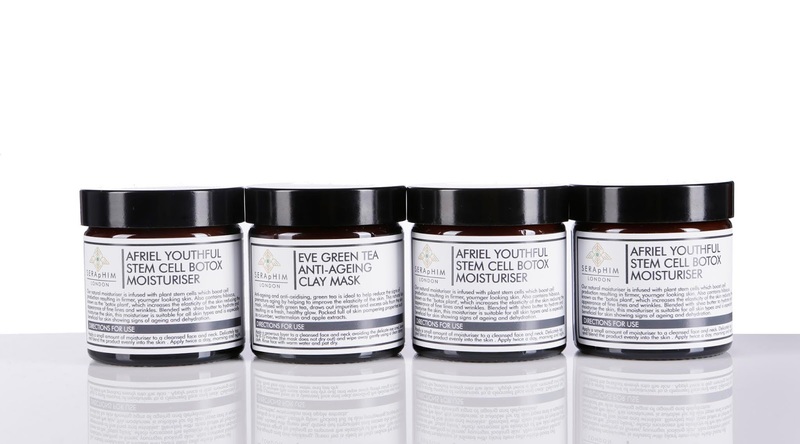 The brand will soon launch their men's skincare line, so stay tuned!